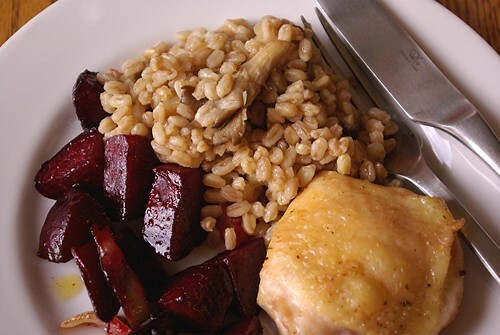 I’ve eaten farro three times this week, and I’m still excited about it – not bad. I’d only eaten it a couple times before, and thought it was really swell, but only recently bought some at the Spanish Table in Seattle. 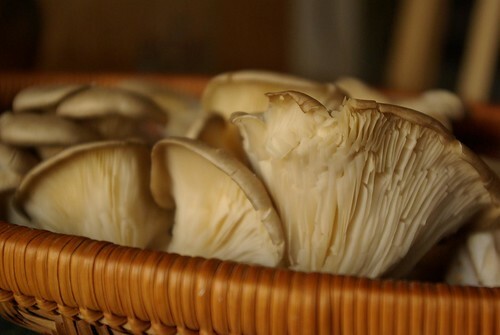 Last weekend at the farmer’s market we got a bunch more fresh oyster mushrooms, which I thought would go splendidly with the farro – I was right. I followed the basic cooking instructions for farro in The Italian Country Table by Lynne Rossetto Kasper – very simple, just rinsing a cup of farro and throwing it in a saucepan with three cups of water and a little salt, then simmering it for 40 minutes or so. We sauteed the oyster mushrooms in olive oil, then added the cooked farro with a little chicken broth and heated it all through. 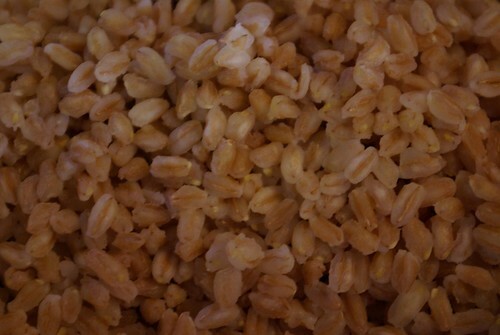 The farro itself is a lot like barley, but with a warm, sweet, wheaty flavor. It really soaked up the mushrooms and chicken broth. I’d like to try cooking it in broth or wine like a risotto sometime, but this approach was pretty darned good. For dinner that night I roasted some chicken thighs with a bit of herb-scented salt, as well as a pan of beets and fennel. The weather was cool and rainy, so this rather autumnal dinner was very welcome. I ate the leftovers for lunch the next day, then had the remainder of the farro with a fried egg a couple days later – fabulous.